Registration for 2019 VAA K-12th Grade Baseball and T-Ball is closed. The St Croix Valley Athletic Association (SCVAA) is a non-profit, fee-based, volunteer organization dedicated to the provision of youth athletic programs. The emphasis of the program is to develop individual and team skills, enhance self-esteem, and to have fun in a supervised environment. Teams are generally made up of children attending the same school, however, due to roster limitations this is not always possible and not guaranteed. T-Ball (Kindergarten Boys Only) Everyone plays every game. Only one night per week total. Recreational Baseball (Grades 1-3) Non-umpired and everyone plays every game. Teams play using modified or full High School rules. The 8th/9th. and 10th-12th. Grade Divisions will continue to combine with, and play against, teams from surrounding communities but will now be managed by the SCVAA. The 8/9th Grade Division will be the VAA Juniors League and the 10th-12th Grade Division will be the VAA Seniors League. Further information is available on the Juniors and Seniors Web Pages. Team rosters will be limited to twelve players assembled mostly by school. Boys and Girls are combined in all age groups. Although beyond the youngest, beginning levels, there are more boys then girls playing baseball. Game schedules and rosters will be distributed at the Baseball Coach's Equipment Pickup on ** New Date** April 20., 2019 **. Coaches will contact team members before practices begin the week of April 22. Teams have one game and one practice per week. Games will begin the week of April 29th. (Subject to Weather). Team rosters will be limited to fourteen players assembled mostly by school. Game schedules and rosters will be distributed at the T-Ball Coach's Equipment Pickup on April 22nd. 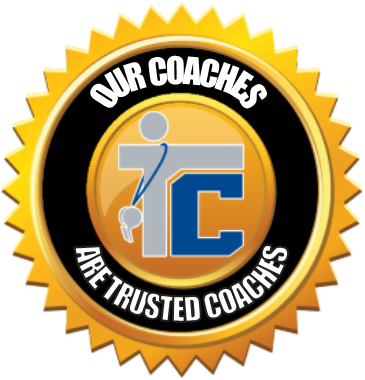 Coaches will contact team members before the season begins. Teams will meet once a week for a half-hour shared-field practice followed by a 45 minute scrimmage, or other agreed upon time frames. Half-hour T-ball practices are usually followed by 45 minute scrimmage on a Fri. evening. For additional information send an e-mail to your grade-level coordinator listed on our commission page. Forms will be posted on the registration page for mail-in registrations. The annual Pony Baseball Youth Game will be Saturday, May 11th., 2019 at Stillwater Area High School, Time - TBD. All players wearing their VAA Jersey and cap will receive free admission, a free hot dog, chips, and soda/Gatorade. We also have give-a-ways in the middle of each inning, such as Twins/Saints Tickets, Pony gear, etc. Please come watch our 2018 State Champion Stillwater Ponies take on Moorhead on Sat., May 11th., 2019.